Most of us do not know a fruit hunter, much less a durianarian and their passion for durians. And what about fruitarians and their all-fruit diet? You might think you have very little in common with passionate individuals such as these, but you would be wrong. The common thread that ties us together is the global fruit industry and all its forms, from the produce section of markets to fruit drinks in the beverage aisle to agricultural checkpoints at airports and along highways. Adam Leith Gollner traveled the world to interview fruit hunters, growers, enthusiasts, researchers, and vendors to explore the fruit industry. He explains how fruit makes it to our grocery store and why the selection of fruit at our local market is so uninspiring. He explains how the kiwi made it big and lets us in on fruit varieties that may become available in the near future. Gollner describes his encounters with fruit hunters so vividly, you will feel as if you experienced the “fruit underworld” yourself. To make the experience even more complete, Gollner has posted photos of his adventures online. View these photos after you have started to read The Fruit Hunters to help visualize the people and places described in the book. Gollner is a writer who has written for The New York Times, Gourmet, Bon Appetit, and Good magazine. 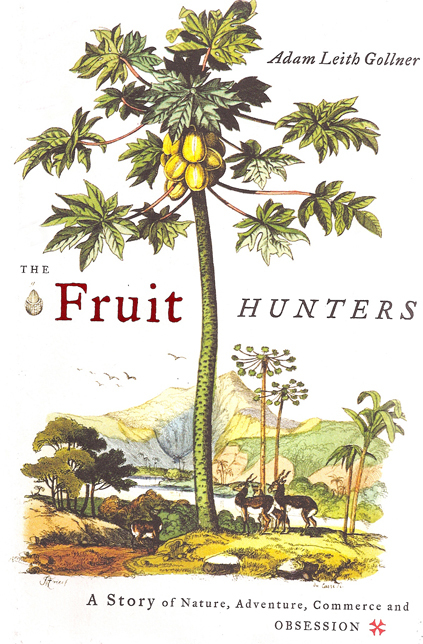 The Fruit Hunters is his first book.